I had a great #edchat on how we can change the negative perception on education. @unklar and @MisterEason started talking about how to determine the definition of a "good" teacher, which got me thinking... What makes a good teacher? I am sure there are many more attributes, but these are the top three that I thought of. A good teacher is someone who makes connections with students, administrators and community members. 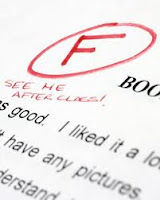 Who Really Fails When You Give Out an F? Talking about grading can lead to heated debate. I have been in many of these conversations and I know that people have their own opinions. If you have been reading my blog, you would know that I am going toward Standards Based Grading. Here are my current thoughts on grading. 'Tis the season of grading! As the year wraps up, grades are what determines who gets to partake in end of the year activities. This made me reflect on grades and the whole practice of grading. 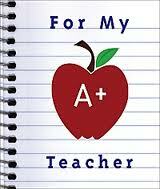 Don't get me wrong, I think grades are okay when they really mean something - when they help a student really understand where they are and how they can grow. Remember those t-shirts from the 90's with all the cliche phrases? I work in a 1:1 Laptop middle school. Some teachers might be hesitant about learning how to use this tool to enhance learning... I am NOT one of them. Yesterday I was able to attend my first unconference at EdCamp Chicago. Here is what I took away from that experience. What am I doing to further PD in my own school? This is my 5th year of teaching and I am finally starting to not feel like a "newbie". I have grown more in this past year than any other and a lot of that growth has stemmed from my 30 Day Blog Challenge. It really helped me reflect and re-focus what I am passionate about, while reaching out to others for feedback and support. This post is going to be all about the comment I received on my Day 26 post on professional development. "One question I have is, how do you share your professional learning with your local in-school network?"